Let’s learn something about tortillas. Tortilla is also called little cake or flatbread. Depends on the region,It can be made from corn, rice or wheat. Tortilla also can be thin or thick and baked both sides on a hot surface or grilled until it get dry. Recently some tortillas are made in different flavors like avocado, chipotle, onion and some other. 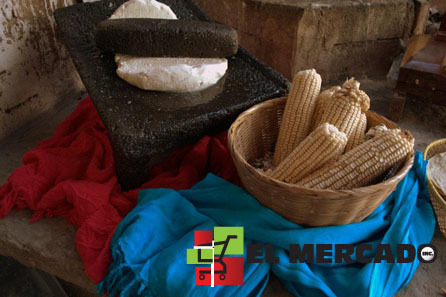 It is believed that first tortillas were discovered 10,000 BC and were made of native maize with dried kernels. Mayan legend tells tortillas were invented in ancient times by a peasant for his hungry king. The traditional tool used to make tortillas was the metate. Currently the metate is still being used in some South America countries, but there are now different ways and machinery to make tortilla. The tortilla is a traditional food in Central and South America. More recently, other countries have begun producing different kinds of wheat and corn tortillas particularly in North America, Europe and Eastern Asia. You will find different sizes, shapes and flavours depending on where they are made. But in Mexico TORTILLA means CORN, SOFT, FLAT AND FRESH. This is the most familiar and traditional food that Mexican people eat with almost every meal. That is why we are proud to make Mexican-style tortillas in Edmonton. And our mission is to share their taste with everybody that likes and misses them.